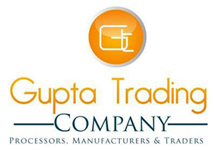 Situated in Ernakulam (Kerala), Gupta Trading Company is reckoned as a reliable Agro Products Manufacturer, Exporter, and Supplier in India. The company is well managed by the CEO Mr. Naresh Kumar Agarwal. Under his chief guidance, the company has scaled great recognition in the competitive market. The variety of our Agro Products comprises of Spices, like Black Pepper, Cardamom, Red Chilli, Turmeric Fingers, Maces, Shelled Nutmegs and Dried Ginger, and Coffee Beans Husk. We also supply Spices for oil and oleoresins extraction purposes, like Dry Ginger, Black Pepper, and Turmeric (above 5% circumin). We have developed a sound manufacturing unit that is located in Ernakulam district of Kerala. We have maintained hygienic environment at this unit to ensure premium Agro Products for the global consumption. This unit is equipped with all the latest processing, testing, packaging, and other facilities. We are greatly supported by a team of skilled employees, who are highly dedicated and sincere towards their respective work. As we are located in the production area of spices (Kerala), we directly procure products from the farmers, which we dry at our yard and process them by using sophisticatedÂ machineriesÂ meeting the quality and clientsâ�� needs. The company has captured the markets in all over the world, due to the higher grades of Agro Products. The network of the company is spread in most parts of India, like Delhi, Gujarat,Â Maharashtra, Rajasthan, Bihar, Mumbai, Jammu & Kashmir, Punjab, etc., and also in Russia, UAE, Europe, and many others.